Claude Chabrol and Donald Sutherland on the set of Les liens de sang (1978). Claude Chabrol, photographed by Alexandre de Brabant. Isabelle Huppert and Claude Chabrol by Richard Ballarian, 2000s. Stéphane Audran et Claude Chabrol! 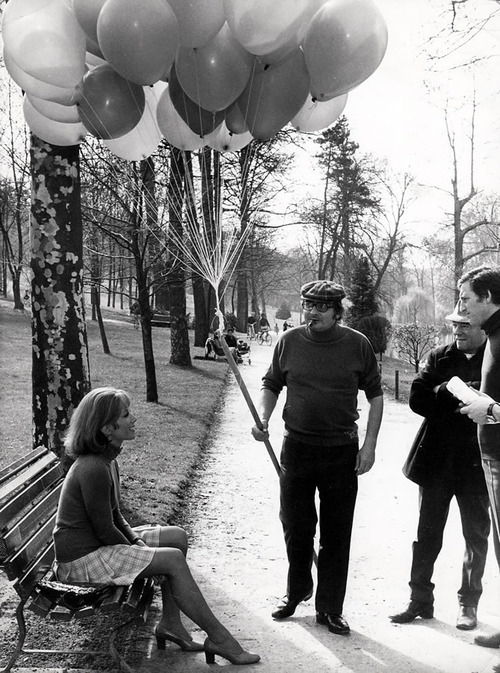 Stéphane Audran and Claude Chabrol on the set of his film,La Rupture 1970! Posted on May 21, 2014 May 18, 2014 Categories MayTags 1970, claude chabrol, La Rupture, on set, Stéphane Audran3 Comments on Stéphane Audran et Claude Chabrol! After my Isabelle Huppert post yesterday, a lot of talk went around on Facebook about her work with Claude Chabrol. “La Ceremonie” (1995) is my favorite collaboration between the two, so I decided to offer you a re-look at the day of Chabrol’s death, 12th September 2010. 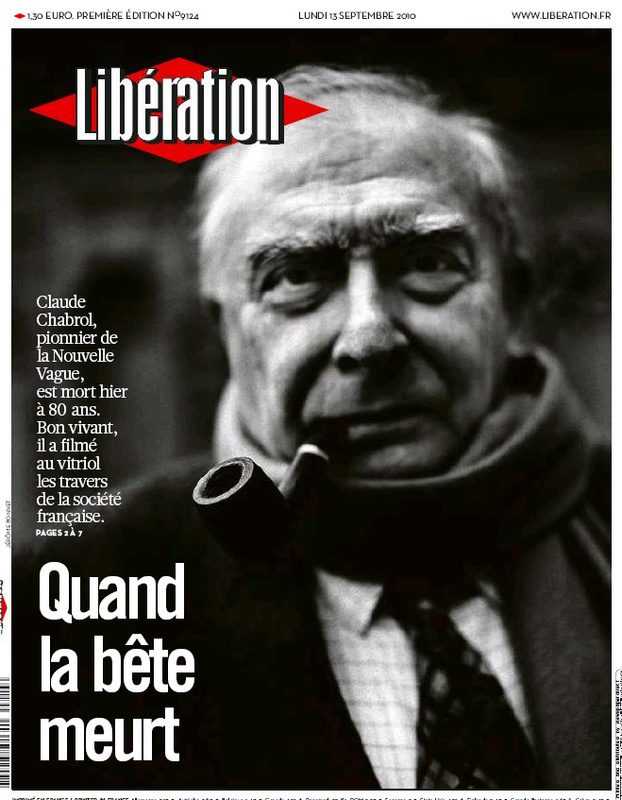 The following day, French left-wing magazine LIBERATION announced & rightfully so: “La France perd son miroir”( France has lost its mirror), the director who insightful albeit tough comments about abortion rules, the idleness of the bourgeoisie, exploitation at work and the gratuity of violence. Here’s the cover from the fateful day and the link to the aforementioned article with the director’s filmography.